Morbid obesity is a serious health disease that effects your entire body. Obesity disease is serious because it also causes other disease such as high blood pressure, type II diabetes, obstructive sleep apnea and fatty liver disease which can lead to cirrhosis. It can even interfere with basic physical functions such as breathing or walking. Morbid Obesity is one of the greatest threats to health in our society. Bariatric surgery has evolved to be one of the most safe and effective treatments for this disease and the loss of life it causes. Morbid obesity is diagnosed by determining Body Mass Index (BMI), the ratio of an individual’s height to his or her weight. Normal BMI ranges from 20-25. An individual is considered morbidly obese if he or she is 100 pounds over his/her ideal body weight, has a BMI of 40 or more, or 30 or more and experiencing obesity-related health conditions, such as high blood pressure or diabetes. With obesity at epidemic levels – including 57 percent of Floridians who are overweight or obese – weight loss is the leading cause of preventable death after lung cancer in the U.S.
Our surgeons offer the Laparoscopic Gastric Bypass and Vertical Sleeve Gastrectomy. These are both excellent operations for addressing both morbid obesity disease and metabolic disease. Both Dr. Domkowski and Dr. Radecke also specialize in revisional bariatric surgery. If you had a prior gastric bypass or sleeve surgery that you may want revised or converted to another type of bariatric surgery we are your center. In addition, if you have a Lap Band and you would like it removed, our surgeons can do that and give you a gastric bypass or sleeve if you are interested and eligible. We recommend that you set-up an appointment with one of our doctors for a consultation as soon as you have attended one of our monthly seminars. Your BMI is 35 or higher and you also suffer from one or more health problems such as Type II Diabetes or Hypertension. Your BMI is between 30 and 35 and you also have significant weight induced comorbidities. Weight loss surgery: Patient results may vary. Consult your physician about the benefits and risks of weight loss surgery. It is necessary to attend one of our free informational seminars before your first appointment with any of the Sebastian River Medical Center Surgical Weight Loss team. For an in-person seminar call (888) 671-7762 or register online here. Or view the online seminar here. Check to make sure that surgery and the treatment for obesity, and weight-loss, are covered benefits in your plan. It is very important that they are not excluded in your specific policy. Criteria for coverage will vary from insurance company to insurance company. Secondly, you may need to provide your insurance company with certain information and codes to determine if the procedure is covered. If you have insurance, please make sure to bring your insurance information with you to the seminar. At the seminar you will be asked to fill out insurance information so our insurance coordinator can call your insurance company and verify if you have bariatric benefits and, if so, what those benefits are. This process can take anywhere from 1-2 weeks. Our insurance coordinator will then call you and discuss those benefits with you. If you do not have insurance or your current plan does not cover bariatric surgery, our insurance coordinator will be happy to discuss the self-pay options that may be available for you. We offer very completive self-pay packages and encourage you to explore this option further if insurance coverage is not an option for you. ​The total cost to the patient for The Laparoscopic Sleeve can be as low as $9,900.00. The total cost to the patient for The Laparoscopic Gastric Bypass can be as low as $12,000.00. The fees for each of the options include the surgeon’s fee, anesthesia, psychology consult, nutrition consult, and the hospital fee. If there are unexpected complications or additional services or hospital stays required the patients will be billed accordingly and in addition to above costs. After attending a bariatric seminar and deciding that this is something you would like to pursue, please call our office and schedule a consultation with Dr. Domkowski or Dr. Radecke. During your consultation, the doctor will have an opportunity to go through your weight history with you, decide which surgery is best for you and personally go through your desires and expectations regarding the weight loss surgery. Call our office for information at 772.581.8003. For the health and safety of our patients, we follow the National Institute of Health (NIH) guidelines for Bariatric Surgery. These guidelines require a Psychological Evaluation and a Nutrition Assessment before Laparoscopic Sleeve or Lap Gastric Bypass. You will also need to meet with our Bariatric Coordinator before your surgery. Call our office for information at 772.581.8003. Many insurance health plans cover bariatric surgery. It’s important to check with your individual plan for benefits and coverage. Attend one of our seminars and we can help you to make the right decision for you and your health. Those who have morbid obese disease are at greater risk for other diseases including type II diabetes, high blood pressure, sleep apnea, gastroesophageal reflux disease (GERD), fatty liver disease, osteoarthritis, heart disease and cancer. An individual is considered morbidly obese if he or she is 100 pounds over his/her ideal body weight, has a BMI of 40 or more, or 35 or more and experiencing obesity-related health conditions, such as high blood pressure or diabetes. If you are 50 to 100 percent over your ideal body weight, diet and exercise have only a five percent success rate for long term weight loss. Surgical Weight Loss surgery may be the answer you have been looking for. 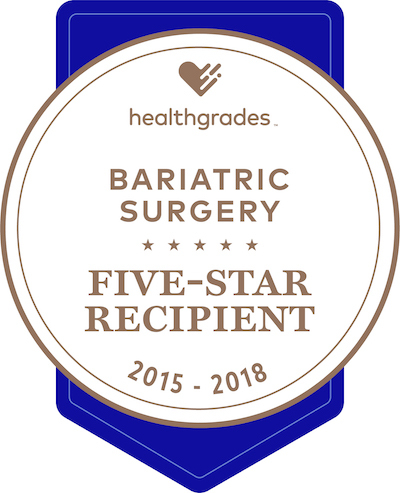 Sebastian River Medical Center is accredited by the American Society for Metabolic and Bariatric Surgery (ASMBS) and the American College of Surgeons (ACS). This designation allows Sebastian River Medical Center to provide bariatric surgical care for recipients of medicare and select medicaid plans. To achieve this designation the hospital must submit to a rigorous program review of the hospital’s surgical weight loss program, staff that care for surgical weight loss patients, and facility provisions. Staff members include a clinical program coordinator, registered dietitians, behavioral psychologists, physical therapists, nurses and many other qualified healthcare personnel. Weight Loss Surgery Seminar It is necessary to attend one of our free informational seminars before your first appointment with any of the Sebastian River Medical Center Surgical Weight Loss team. Watch the seminar now. Life After Surgery - Follow Up Care Fresh start. Many aspects of your health will improve after surgery, but it doesn’t happen magically. It is important to be committed to following a new and improved post-operative lifestyle, including being proactive in dealing with potential risks and discomforts associated with surgery. Patient Information & FAQs Our caring medical team is here to answer your questions and assist you in any way we can. We recommend that you start learning all you can about weight loss surgery by attending one of our free, informational weight loss seminars. Then read our list of FAQS to learn more about becoming a patient at Sebastian River Weight Loss. These patients lost the weight. You can do it too. Read their stories for inspiration. Meet with others who are thinking of having surgery, individuals who have already had surgery, and people who had their surgery elsewhere. Everyone is welcome. Meets the fourth Tuesday of every month at 6:00 pm in the Dining room at Sebastian River Medical Center. For more information call our bariatric detician at (772) 581-2099.